Manager A.J. Hinch cared not a whit after his club's record after only four percent of the season. "There should not have been a lot of doubt out here that we were going to start to win more games at a better rate,'' Hinch said. The Astros have re-established themselves as the top club in the American League West by winning 11 of their last 12 games. They are doing everything well. They are hitting .294 with 22 homers and a .495 slugging percentage in this surge. Houston has scored 67 runs in the 12 games. The pitching has been dominant. Justin Verlander held the Rangers to one run, on Danny Santana's homer, in seven innings. The Astros' rotation is 11-1 with a 2.93 ERA in the last 12 games. Kevin Barnhart reporting Crawfish availability is expected to be lower going into Easter weekend, which normally marks the peak of the season. The overall crop of crawfish is down this season. President of the Crawfish Research and Promotion Board David Savoy said there has been a bit of a rebound, but the recent bad weather has slowed down the harvest going into the holiday weekend. “We've caught probably between three to five inches of rain, which is good, but keeps you out of the field to some degree if it's too deep. It'll put a limit on what we catch,” said Savoy. Savoy said one possible reason the mudbugs are not hitting the traps like they should, they just simply are not out there. Gregory Polanco and Jeff McNeil are some of the top players worth grabbing off the waiver wire this week. 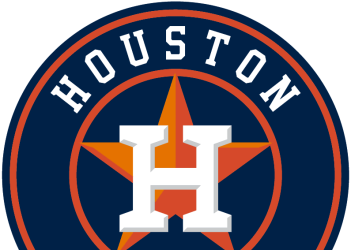 OAKLAND, Calif. — The Astros tailored their opening day roster to an unconventional April schedule. Four off days interspersed in the first 22 days of the regular season made carrying a seven-man bullpen feasible. A perceived spring training competition between outfielders Tony Kemp and Jake Marisnick never materialized, and both garnered a spot among Houston's initial 25-man group. The next four weeks will test how much longer this structure is sustainable. Friday's series opener against the Rangers in Arlington begins a run of 26 games in 27 days, an unforgiving stretch that could require refinement to Houston's humming roster. Paring the extra position player is the logical option, one A.J.